Welcome back readers. This week I am going to take a break from my Flash reviews to focus on some newer books I checked out this week. I have three books to talk about, one that has been out for a couple months now. And the other two just came out this week. So here we go…. 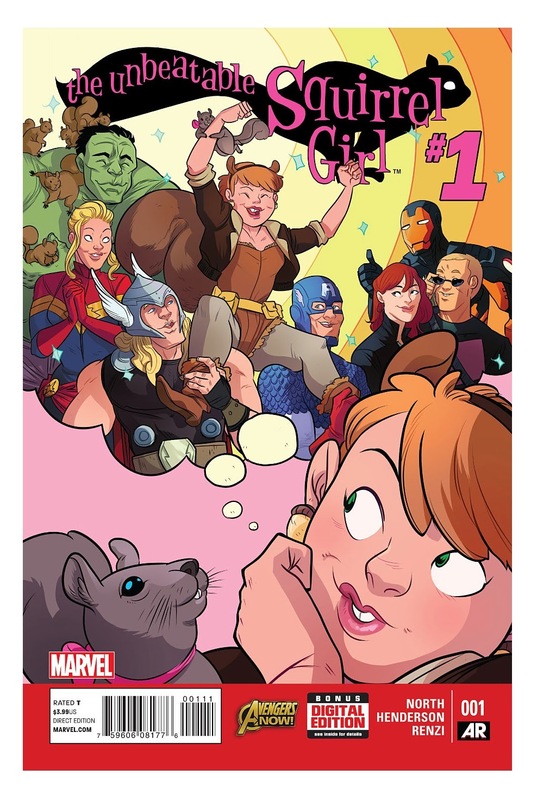 The rough idea of this series is that Squirrel Girl decides it’s time to leave her “rent free upstairs apartment”(the attic of Avengers Mansion) and go to college. So she starts using the alter ego name of Doreen Green, packs her stuff. And with her pet squirrel Tippy-Toe, heads out into the world. The real problem is that Dorren is pretty socially awkward. And that makes for some really funny moments as she tries to live a normal life and keep her Squirrel Girl identity a secret. This book really is a lot of fun. It doesn’t really take itself too seriously, and often relishes in the fact that Squirrel Girl is a pretty laughable gimmick. Whenever she is interacting with another college Student. Whether it be her roommate who is overly angry most of the time, or Tomas who she is “totally crushing on”. Doreen often makes conversations very awkward and hilarious for the reader. And as I have already stated, she isn’t great at keeping her secret identity. 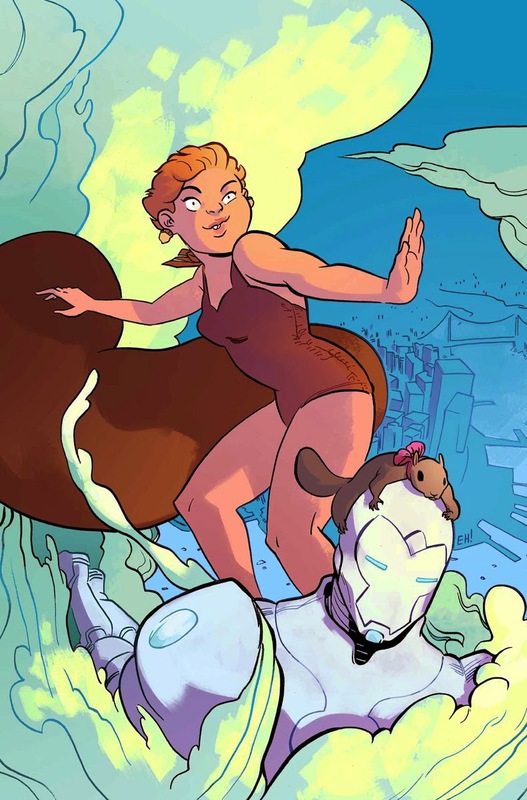 I don’t know a whole lot about the character of Squirrel Girl so I can’t speak to how accurate the voice of the character is. But I love that North makes her feel like a kid that was homeschooled up through High School and finally let out into the world for college. As for the art, Henderson really shines. Her style has a fun and quirky feel that only serves to make the book better. I am not sure if it is the promise of a Galactus vs. Iron Squirrel (That’s right she has her own Iron Man suit!!!) or just the book in general, but I really want to see where this book goes from here. I loved the Bill and Ted movies when they first came out. So I was pretty interested when I saw this issue in my local comic shop I grabbed it with very little hesitation. The issue begins directly after the end of Bogus Journey. And after Wyld Stallyns perform their song the audience wants an encore, but the problem is Bill and Ted only wrote the one song. So they shave their outrageous facial hair and get to work on writing their next song. But writer’s block is in full effect. After several attempts that bear no fruit, and a visit from a group of students from the future on a field trip to visit the home of the saviors. 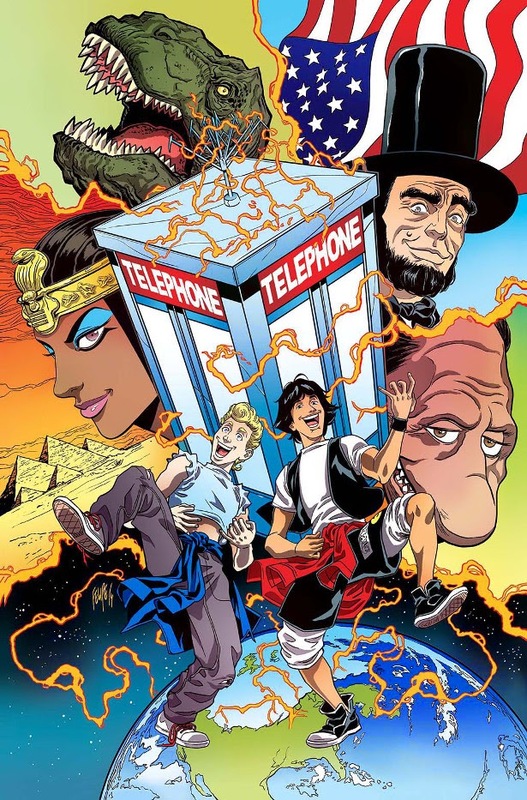 The duo decide to use a phone booth to make a trip to the future to see what their second song was. This book reads like a Saturday morning cartoon from the eighties, and looks like one too. I wish there were more to the issue, but what it did contain was a fun trip down memory lane. Lynch has a real talent for nailing down the voices and mannerisms of Alex Winters and Keanu Reeves. In fact it is almost impossible to read this book without hearing their voices talking for the characters. I will probably grab the trade of this when it is all wrapped up, but with all of the other books I am currently getting I can’t afford to pick this one up as the issues come out. Howard is now a private detective with an office across from Jennifer Walters a.k.a She-Hulk. Upon returning to his office from a night in the slammer he has a client wanting him to track down a family necklace that was stolen by Black Cat. Howard takes the job and teams up with a fellow malcontent that he was in prison with. After a preparation montage complete with theme song the two head off to the home of Felicia Hardy in an attempt to reclaim the necklace. However their meeting with Felicia is interrupted by an intergalactic bounty hunter working for the Collector who wants to add Howard to his museum. and as the issue comes to a close there is a promise of a Marvel animal character team up not to be missed. Zdarsky in Quinones really come together to make a great book here. There are several little easter eggs hidden within the book that make multiple readings fun. 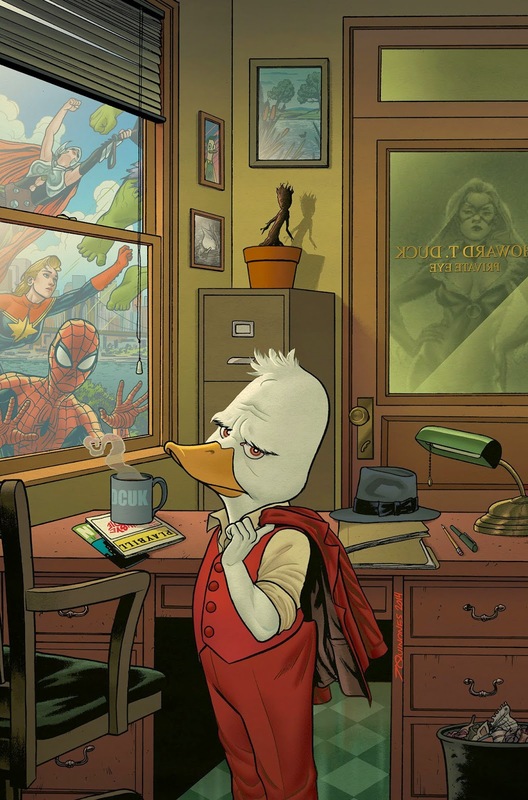 And there is even a joke about the Howard the Duck movie that makes it part of continuity in a way. I will be grabbing this one from now on. It has the sense of humor that speaks directly to me and it doesn’t seem like it will be bogged down by any events coming up in the future. Thanks for reading my reviews. If you have any comments, questions, or suggestions feel free to leave them in the comments section. and as always… Keep reading comic fans.